Crescendo Music Therapy enhances services and marketability for CARE FACILITIES! 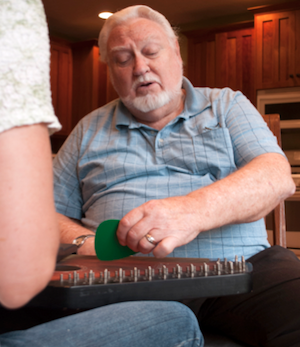 Our music therapists create groups that target specific therapeutic objectives. Music is a fun, social, easily engage-able tool to bring positive change into the lives of your residents. We even do group work for those in the ending stages of dementia. We can provide mini-sessions for those clients who are bed-bound, but would benefit from individual music therapy sessions. Our music therapists can go room to room, spending 10 – 15 minutes of targeted interaction with your residents. The Music and Memory™ program is an amazing addition to your facility. Often times, facility staff are stretched for time. Let Crescendo Music Therapy help with education, implementation and administration of this program. We are experts at conducting personalized music assessments. We can create foundational playlists for different decades and genres, greatly simplifying the playlist creation process. We can give in-services to staff, increasing understanding and helping them to maximize the benefits of Music and Memory™. We can assist in the creation and implementation of a protocol that will work for your facility. Music therapists co-treat with physical, speech and occupational therapists in rehab settings. The addition of music interventions often increases a client’s ability to reach rehabilitation goals, thus decreasing length of stay. 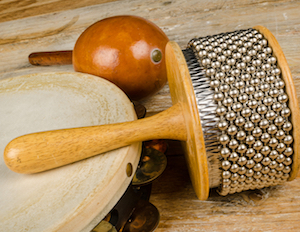 Multiple studies document the effectiveness of music therapy with motor, speech and cognitive impairments. 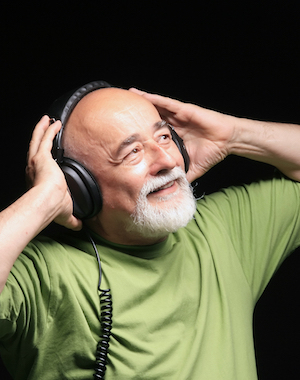 Facilities are having increased success in receiving reimbursement for rehabilitation interventions using music therapy techniques. Using our therapists who have completed their Neurologic Music Therapy training, we are able to bring this service to your rehab department.